MINNEAPOLIS (WCCO) — Thirteen-year-old Jayme Closs, who went missing almost three months ago from her Wisconsin home, was located alive Thursday evening, according to the Barron County Sheriff’s Office. WCCO-TV’s Mary McGuire spoke to Jayme’s aunt Sue on Thursday evening, who said her niece was currently in the hospital. Jayme will then be brought home to Barron to be reunited with her family. Authorities say a suspect has been taken into custody in connection with the case. The investigation remains active. Closs disappeared on Oct. 15, 2018, the same day her parents — James, 56, and Denise, 46 — were found shot to death inside their Barron home. Up until Thursday, Barron County Sheriff Chris Fitzgerald has said investigators had not received any credible leads in this case, despite thousands of tips. A 911 call was made from Denise Closs’ cellphone at about 1 a.m. on Oct. 15, with garbled, inaudible audio. Police arrived four minutes later to find her and her husband dead. There was no sign of Jayme inside the home. Investigators will discuss the case with the media Friday morning at 10 a.m. at the Barron County Sheriff’s office. This is a developing story. Stay with WCCO.com as more details become available. Jayme was 13 when her parents were found fatally shot in their home. She has been located alive and a suspect has been taken into custody Thursday night. Missing 13-year-old Jayme Closs, who was kidnapped after her parents were found murdered in their Wisconsin home, has been found alive, police say. Jayme was located in Douglas County, Wisconsin, officials said. A suspect has been taken into custody, the Barron County Sheriff's Department said in a news release. Police did not release any other details about the arrest or how Jayme was located. Authorities have scheduled a press conference for 10 a.m. on Friday to discuss the case. 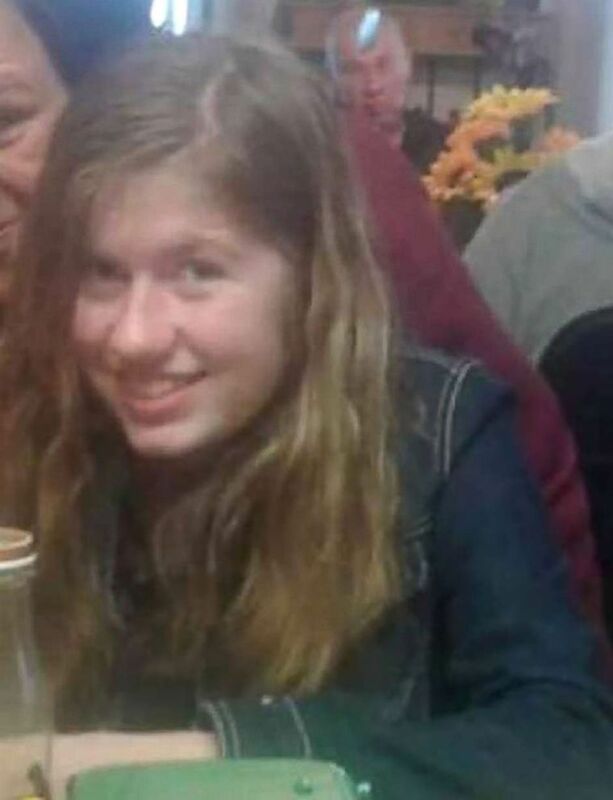 An undated photo of missing 13-year-old Jayme Closs of Barron, Wisconsin. Police responded to the house after a strange 911 call just before 1 a.m. local time when someone called 911 from Denise Closs' cellphone, and the 911 dispatcher heard "a lot of yelling," according to records from the Barron County Sheriff's Department obtained by ABC News. The dispatcher called the number back but was unable to leave a voicemail. Jayme was believed to be home when they were killed but had been abducted by the time authorities arrived. BARRON COUNTY, Wis. (WEAU) -- The sheriff confirmed that Jayme Closs was found shortly after 4:30 Thursday afternoon. She is currently safe, with law enforcement. She was taken to a hospital in the Duluth area and held overnight for observation. The suspect has been identified as 21-year-old Jake Thomas Patterson, from Gordon. He's facing multiple charges including kidnapping and first-degree homicide. Sheriff Chris Fitzgerald made it clear that Jayme was held against her will and escaped before she was found. We have crews on the story in Barron and Douglas Counties and will have more on our later newscasts and online. Stay with WEAU for the latest on Jayme Closs' safe return. BARRON COUNTY, Wis. (AP) -- Investigators are expected to explain how they located a Wisconsin teenager missing for three months alive and took a suspect into custody. WEAU 13 News will be live streaming the event, which is scheduled to start at 10 a.m. in Barron County. To watch that live stream when it happens, click here. Peter Kasinskas says Jayme was quiet and showed little emotion. He says she told them she didn't know where she was or anything about Gordon, the small town near where she was found. Jayme's parents were killed in October at the family's home near Barron and Jayme went missing. The place where she was found is a little more than an hour's drive to the north. A town official says a Wisconsin girl who turned up safe after being missing nearly three months was found in a small forested area of cabin-like homes about 6 miles east of the small Town of Gordon. Jayme Closs was found Thursday afternoon in northwestern Wisconsin, about 65 miles north of where her parents were shot to death and Jayme vanished from their home in October. The Associated Press was not able to verify Kline's account with authorities late Thursday. "I am very pleased to announce that Jayme Closs was located late this afternoon within Douglas County. I cannot release anymore details at this time as the investigation is ongoing. Great job to the members of the DGSO who helped in locating Jayme and the citizen who phoned in the information." DOUGLAS COUNTY, Wis. (WEAU) --The Douglas County Sheriff's Office said Closs was located in The Town of Gordon, which is in the far southern part of the county, at 4:43 p.m. A suspect was arrested at 4:54 p.m., also in Gordon. Officials did not release any other information about how Closs was found. BARRON COUNTY, Wis. (WEAU) -- The cousin of a 13-year-old Wisconsin girl who was missing almost three months before being found safe Thursday is thanking law enforcement and the community for support. Lacey Naiberg posted on Facebook after the Barron County sheriff reported that Jayme Closs had been found. Jayme went missing in October after her parents were killed at the family home in northern Wisconsin. Naiberg wrote "there are no words to describe" the feeling of having so many people come together to help. She asks people to continue to pray for "Jayme's well-being and our families healing." Authorities say a suspect is in custody, but say they won't release any more information ahead of a news conference Friday. Stay with WEAU for more information as this story develops. We will have a live report from Barron County during WEAU 13 News at 10 p.m.
WEAU will also live stream Friday's news conference at 10 a.m. on WEAU and weau.com. BARRON COUNTY, Wis. (WEAU) -- Jayme Closs has been located. Shortly after this, a suspect was taken into custody in regards to this case. We do not any other details at this time as this is a very fluid and active investigation. We will not be answering any questions or taking calls on this tonight. We want to thank the Douglas Co Sheriff’s Department and agencies assisting them tonight. We also want to thank all the Law Enforcement agencies across the state and county that have assisted us in this case. We also could not have endured this case without the support of the public and I want to thank them for all the support and help. Finally, we want to especially thank the family for their support and patience while this case was ongoing. We promised to bring Jayme home and tonight we get to fulfill that promise. From the bottom of my heart THANK YOU! This case has been very trying on the family so please respect their privacy and we reunite them later tonight. Found: Jayme Closs, the missing 13-year-old Wisconsin girl was found alive. The suspect: Police identified Jake Thomas Patterson, 21. He has been arrested and charged for kidnapping and murder. 88 days missing: Jayme vanished October 15, and her parents, James and Denise Closs, were found fatally shot in their home near Barron, Wisconsin. 15 yr fixed rates just plummeted. Lock in now! His name is Jake Thomas Patterson. It appears he had no previous contact with Jayme Closs or her family. Patterson had planned his actions, and Jayme was his only target. He had "zero" criminal history with state and local authorities. He held Jayme in a home in a "remote" area. Patterson has a connection with Barron County, Wisconsin. Jayme was kept in a "home in a remote area"
Barron County Sheriff Chris Fitzgerald said Jayme Closs was kept in a "home in a remote area" of Douglas County, Wisconsin. "There isn't a lot of houses in that area," he said. The sheriff added that the suspect concealed her while she was in the home. Fitzgerald did not give more details about the dwelling. Sheriff Chris Fitzgerald confirmed that Jayme Closs was the suspect's target, and authorities are now trying to figure out why. They do not believe the suspect, who has no criminal history, had contact with Closs and her family. However, they believe he had planned his actions. "Jayme was taken against her will and escaped from the residence at which she was being held in. We also don’t believe at this time the suspect had any contact with the family. 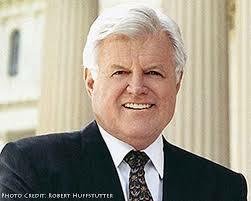 We do believe that Jayme was the only target," Fitzgerald said. "I can tell you that the subject planned his actions and took many proactive steps to hide his identity from law enforcement and the general public," he added. The sheriff also said it is still unclear who made the 911 call. The suspect in the abduction of Jayme Closs has been identified as Jake Thomas Patterson. He is 21. He had did not have a criminal history with local or state agencies. School official: "What an extraordinary young lady"
Diane Tremblay, the administrator for Wisconsin's Barron County School District, thanked law enforcement as well as the businesses and families that came together during the search for Jayme Closs. "Most importantly, we want to thank Jayme for being so courageous and for achieving an opportunity to find her way back to us," she said. She added: "What an extraordinary young lady." "Jayme we missed you, and we are so grateful you are home," Tremblay said. Sheriff: We believe Jayme was the "only target"
Barron County Sheriff Chris Fitzgerald said Jayme Closs escaped from a home where she was being held and was able to find help yesterday. Police do not believe that the suspect had "any contact with the family." "We do believe Jayme was the only target," he said. Fitzgerald added: "I can tell you that the subject planned his actions and took many proactive steps to hide his identity from law enforcement and the general public." Authorities on Friday identified Jake Thomas Patterson as the only suspect in the Jayme Closs kidnapping. He is also the suspect in the murder of Closs's parents — James, 56, and Denise, 46. Patterson is 21 years old. Closs escaped from a home where Patterson lived in the 14100 block of South Eau Claire Acres Circle, near the town of Gordon. Patterson is in custody in Barron County. He is being held pending charges of first degree murder and kidnapping. Barron County District Attorney Brain Wright said at a Friday morning press conference that charges are not expected to be filed until next week. Patterson has no known previous criminal record. Jayme Closs approached Jeanne Nutter who was walking her dog Thursday. Nutter quickly took Closs to a neighbor's home, where they called police. The Douglas County Sheriff's department responded. Using a description of his vehicle, they were able to pull over and arrest Patterson Thursday night. There are no other suspects. Law enforcement vehicles park on County Road Y near Eau Claire Acres Circle where Jayme Closs was kept Friday, Jan. 11, 2019, on Eau Claire Acres Circle in Gordon, Wisc. The cabin where Patterson held Closs is in an enclave called Eau Claire Acres in the town of Gordon in Douglas County. Neighbor Daphne Ronning said the Patterson family moved to the house 15 years ago and that Jake and his brother grew up there. Both attended Northwood School in Minong. Patterson's parents moved to another home, but Jake Patterson and his brother continued to use the Eau Claire Acres home. A satellite image from Google Maps shows the wooded area surrounding Eau Claires Acres where Jayme Closs was found. Gordon is home to about 645 people in a heavily forested region where logging is the top industry. Eau Claires Acres, where Closs was found, is about six miles east of the town. The area is described as a neighborhood with cabin-like homes. The region is popular for tourists who rent or own cabins. During winter, the area is less populated. Police said his intention was to target Jayme Closs, not her parents. At a press conference Friday, police said they have no evidence that Patterson communicated with Jayme Closs via social media.